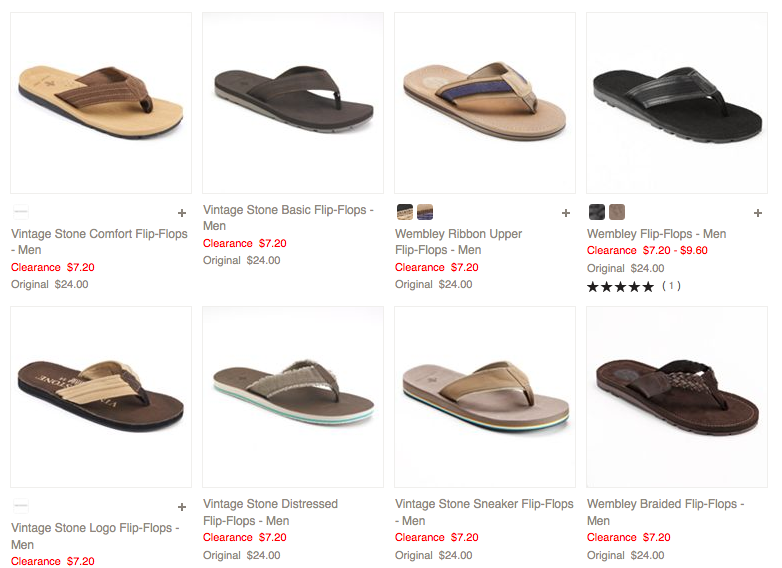 Men's Flip Flops Only $3.78 + FREE Shipping (Reg. $24+)! You are here: Home / Great Deals / Men’s Flip Flops Only $3.78 + FREE Shipping (Reg. $24+)! Men’s Flip Flops Only $3.78 + FREE Shipping (Reg. $24+)! WOW! Hurry and snag a fab pair of Men’s Flip Flops for only $3.78 + FREE Shipping (Reg. $24+)! Right now, tons of pairs are marked down from $24 to $7.20!! Use coupon codes CLEARANCE25 to save 25% and if you are a Kohl’s cardholder, use code TRICK30 to save another 30%!! And, shipping is FREE with coupon code FREE4MVC which drops the price to only $3.78!